In July 2009 (can't believe it was so long ago!) 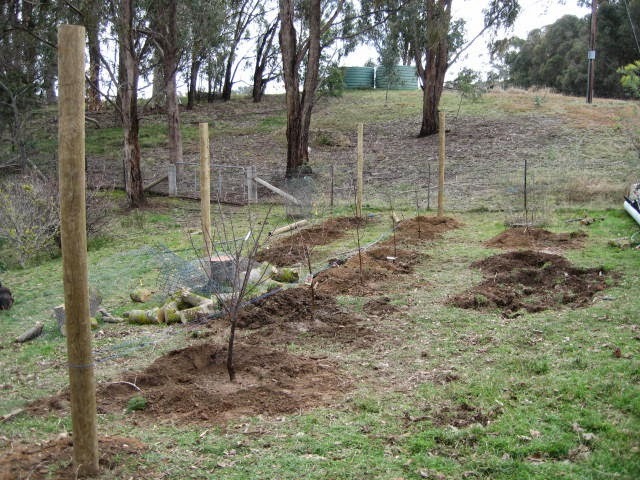 ago we created a mini-orchard that we planned to espalier. We had 2 plum trees, 2 cherries, 2 apricots, 2 peaches, a nectarine, 2 apples, a pear and a nashi. 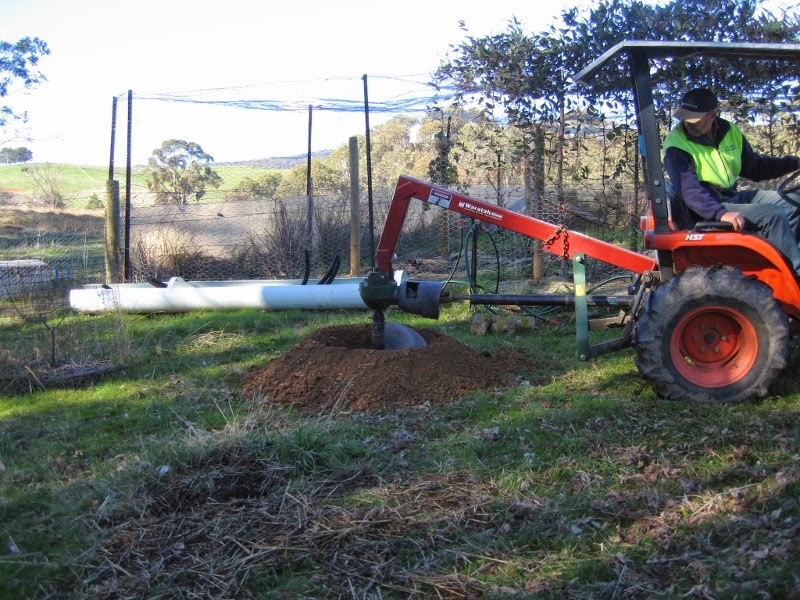 A friend with a digger came over and drilled some nice big holes for the trees, we put in posts, strung wire, planted and looked forward to many home grown fruity adventures. Five years (!!) down the track, the orchard experiment has been a failure. With the exception of the two plum trees, which have given us buckets of delicious plums, all the trees have failed to thrive. In fact, most still look almost as spindly as when they were planted. One of the apricots grew quite well, but gave almost no fruit. We can't say for sure why this has happened across so many of the trees - poor soil, wrong location, not enough feeding/watering (or both). However, given the peach tree in the veg patch we planted in 2008 before now has a trunk thicker than my leg (and gives the most amazing peaches), it became more and more obvious that there wasn't going to be a miraculous growth spurt. At the same time we have been thinking about a new chicken coop up closer to the garden, so we can make better use of the new chickens in the garden (when we get some). Locating it near the berry cage (in the current orchard area) and including a gate would allow us to have the chickens roam this area in the non-fruit season to manage grass and pests. It would also put the coop closer to the house, and right nest to a tap for convenient water top-ups. So... we made the decision to remove all of the trees, apart from the two plums. One apricot is still in the ground, as it was too big to easily remove with large pruners (yes, the trees were THAT spindly), but it will go. 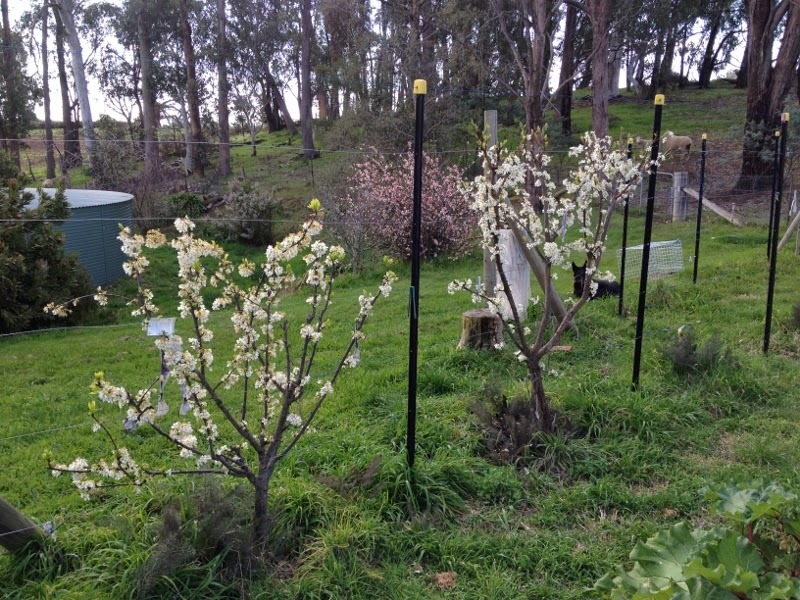 The posts and wires are still up, but they will be removed in the next few weeks, and I will start training the plums to be "all round" trees, rather than fan trained. We live in an orchard area so we have access to cheap, local fruit so we will just continue to support our local economy by buying what we want when it is in season, and preserving our favorites to enjoy at other times. 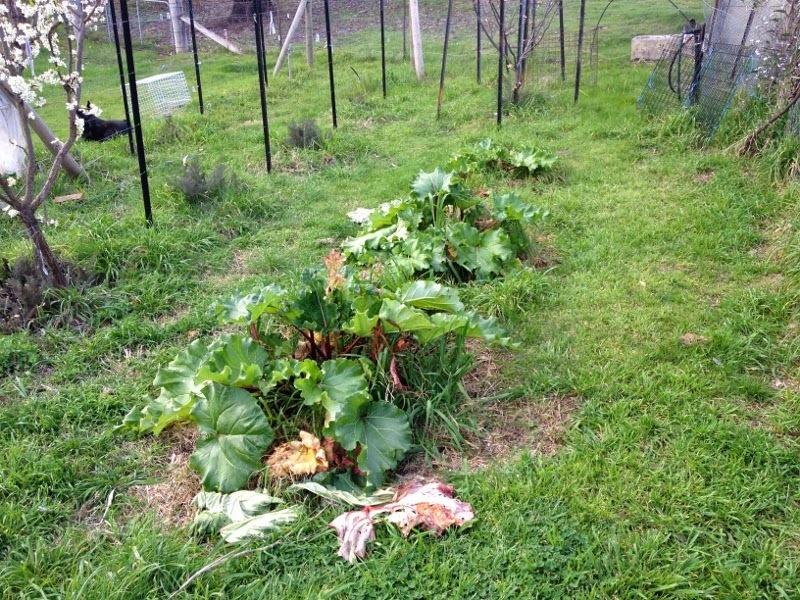 On the bright side, however, the rhubarb seems to be quite happy!